Market Report Note: Beginning in 2017, Market Reports for Plaza Midtown will appear on this page, instead of a separate blog post for each report. If you are interested in tracking market activity in this community, we suggest you bookmark this page to come back for updates. Plaza Midtown Atlanta’s twin oval towers, although only 20 stories tall, stand out on the Midtown Atlanta skyline. But Plaza Midtown Atlanta has has the distinction of having the only grocery store at street level…Publix. A Whole Foods will open in 2018 in the under Construction Apogee, located at 14th and West Peachtree, but that will be an apartment building, not condos. It’s also convenient to the Georgia Tech campus and Technology Square, as well being located across from the Midtown MARTA station. 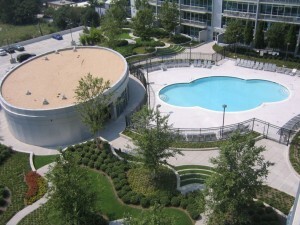 Want to learn more about this Midtown Atlanta condominium community? 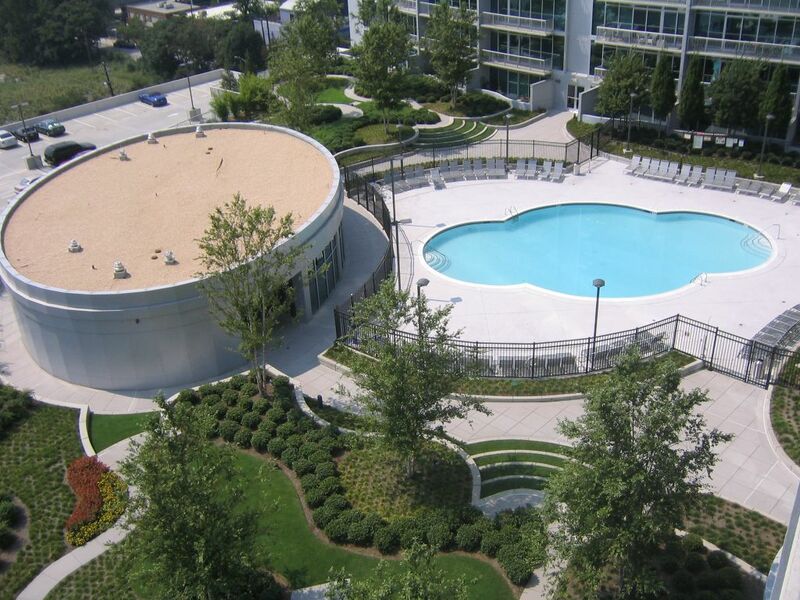 Click Here to visit Plaza Midtown Atlanta. 2016 saw 40 homes sold in the building, in comparison with 42 in 2015. Interestingly, there was a much higher concentration of 1 bedrooms sold (27) versus 2 bedroom homes (13) in 2016. In 2015, the number of 1 and 2 bedroom homes was equal at 21 each. The building saw modest increase in value on both 1 and 2 bedroom homes. This is a good thing…that while owners are seeing appreciation in value, the values are not climbing dramatically. Days on the market in 2016 was 23 overall, but in 2015, 1 bedrooms remained on the market a bit less at 25 days, compared to 38 days for a 2 bedroom. This is not surprising, considering there was a price difference of some $122,000 between a 1 bedroom and a 2 bedroom home. 2017 is seeing construction on all 4 sides of the building with Hanover West Midtown (actually on 10th Street and does not affect any views), the new NCR Corporate building, Modera Midtown and the recently completed Alta Midtown across West Peachtree Street. These new buildings are all rental apartment buildings so should not affect the values in the building in any negative direction. Views have been impacted somewhat by Alta, but the other construction is in the distance. Data last updated: 4/15/19 11:16 PM PDT.